Exterior of the Weston A. Bousfield Psychology building. Founded in 1945, the Department of Psychological Sciences is the largest major in the College of Liberal Arts and Sciences, offering academic programs at the bachelors, doctorate and advanced certificate levels, in five Connecticut locations – Storrs, Hartford, Stamford, Avery Point and Waterbury. The department is routinely ranked in the top 10 in federal research support, and the department is also highly ranked by the National Research Council in grant support and faculty publications. Note: All programs lead to the degree of Doctor of Philosophy. Opportunities are provided for pre-professional experience in clinical and industrial settings, teaching, and research. None of the programs offer terminal Master’s degrees; PhD students in most programs complete a Master’s as part of the PhD program. The W. A. Bousfield Psychology Building was constructed in 1974 and named in honor of experimental psychologist and department head Weston A. Bousfield. The original building encompassed 60,000 square feet of office, laboratory, and clinic space. In 2012, the UConn Board of Trustees approved $22.5 million to renovate and expand the W. A. Bousfield Psychology Building for the rapidly expanding department. Psychology had become the most popular undergraduate major at UConn, and the department had outgrown the original building. The new Bousfield Annex was completed in the Fall of 2013, expanding the original building by 30,000 square feet and adding shared research space, large seminar rooms, a Psychological Services Clinic, and a large atrium. 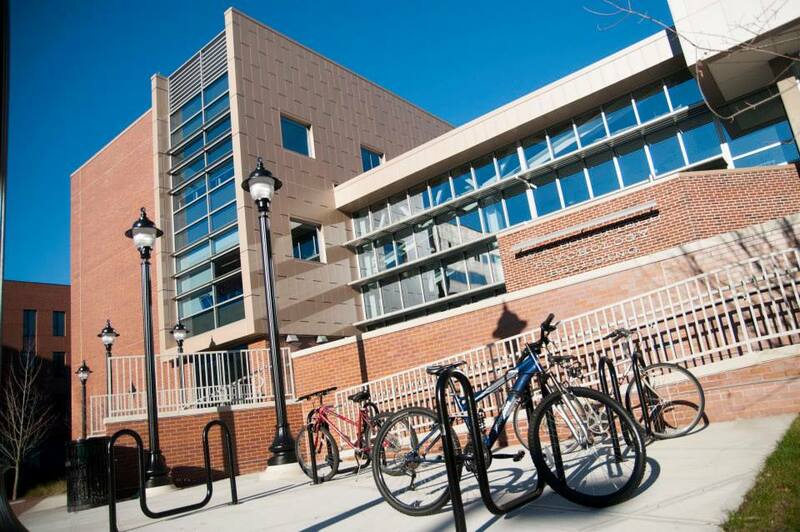 The Bousfield Annex is another example of UConn’s commitment to environmentally responsible management and growth. Improvements to the old building, done in conjunction with the annex construction, earned the complex a LEED (Leadership in Energy & Environmental Design) Silver designation. The LEED Silver rating was earned by outstanding performances in several credit categories, including minimal impact on ecosystems and water resources, better building energy performance, use of sustainable building materials, promotion of better indoor air quality, and access to daylight and campus views. The renovation and expansion of the Bousfield building is a reflection of the Psychology Department’s ongoing growth and academic excellence.